Atkins, South Beach, low sugar, no sugar. So many of us battle the bulge and wish that we could limit ourselves to "just a bite or two" of our favorite indulgences. But imagine what it would be like if you could literally eat only those two bites, immediately becoming uncomfortably full. What if, no matter the food, you couldn't eat enough to sustain yourself, yet your stomach reacted as if you'd gone for thirds on Thanksgiving? These symptoms are often worsened by food choices, and of course, quantity. Solid foods, fatty foods and beverages, high-fiber foods, and carbonated drinks can wreak havoc on those with gastroparesis. One of the main causes of gastroparesis, however, has been found to be diabetes. People with diabetes have high blood glucose levels, also called high blood sugar, which in turn causes chemical changes in nerves and damages the blood vessels that carry oxygen and nutrients to the nerves. Over time, high blood glucose can damage the vagus nerve. Vagus is Latin for "wandering," and true to form, the vagus nerve runs a meandering course from the back of the skull and through the abdomen, branching out to the heart, lungs, ears, and stomach, among other organs. The vagus nerve helps to regulate the heart beat, control muscle movement, keep a person breathing, and to transmit a variety of chemicals through the body. It is also responsible for keeping the digestive tract in working order, contracting the muscles of the stomach and intestines to help process food, and sending back information about what is being digested and what nutrients the body is receiving. The first step in diagnosing gastroparesis is to rule out a physical obstruction. Upper endoscopies, barium x-rays, and ultrasound are non-invasive tests that can provide doctors with a clear picture of a person's anatomy, allowing for detection of any abnormalities. While a barium x-ray after fasting can often detect gastroparesis by showing the presence of food still in the stomach, it should not be thought of as a truly definitive test, as some people with gastroparesis can have normal emptying as symptoms wax and wane. Doctors will often repeat this test in order to obtain a clear picture. Gastric emptying scintigraphy: This test, also referred to as a gastric emptying scan, involves eating a bland meal, such as eggs or egg substitute, that contains a small amount of a radioactive substance, called radioisotope, that shows up on scans. The dose of radiation from the radioisotope is not dangerous. The scan measures the rate of gastric emptying at set lengths of time, such as hourly for four hours. When a significant percent of the meal is still in the stomach at two or four hours, the diagnosis of gastroparesis is confirmed. Breath test: After ingestion of a meal containing a small amount of isotope, breath samples are taken to measure the presence of the isotope in carbon dioxide, which is expelled when a person exhales. The results reveal how fast the stomach is emptying. SmartPill: Approved by the U.S. Food and Drug Administration (FDA) in 2006, the SmartPill is a small device in capsule form that can be swallowed. The device then moves through the digestive tract and collects information about its progress that is sent to a cell phone-sized receiver worn around the waist or neck. When the capsule is passed from the body with the stool in a couple of days, the patient then takes the receiver back to the doctor, who enters the information into a computer. Another option for testing, slightly more invasive, is known as Antro-Duodenal Manometry. "Antro" refers to the antrum, the lower portion of the stomach where food prepares to empty into the first portion of the small intestine, the duodenum. Manometry is the measurement of pressure or contractions in the small intestine. The purpose of antro-duodenal manometry is to determine how well the antrum and the duodenum work together, allowing the stomach to empty its contents. It can also determine if the cause of the problem is the muscles or the nerves. This specialized testing is only available at a handful of medical centers nationwide. Metoclopramide (Reglan): This drug stimulates stomach muscle contractions to help emptying. Metoclopramide also helps reduce nausea and vomiting. Metoclopramide is taken 20 to 30 minutes before meals and at bedtime. Side effects of this drug include fatigue, sleepiness, depression, anxiety, and problems with physical movement, including a movement disorder called tardive dyskinesia. Erythromycin and other antibiotics: Antibiotics can also have the side effect of speeding stomach emptying. They work by increasing the contractions that move food through the stomach. Side effects include nausea, vomiting, and abdominal cramps. It has also been noted that patients can adjust to the dosing and may need to cycle on and off the drugs. Domperidone: This drug works like metoclopramide to improve stomach emptying and decrease nausea and vomiting. The FDA is reviewing domperidone, which has been used elsewhere in the world to treat gastroparesis. Use of the drug is currently restricted in the United States. Other medications: Other medications may be used to treat symptoms and problems related to gastroparesis. Anti-emetics can used to quell nausea and vomiting and reflux medications can be used to help treat heartburn symptoms. Several other motility drugs, including octreotide and Cisapride, which was pulled from the market and is only available in some cases, are used less frequently. Dietary changes are often prescribed to help control symptoms of gastroparesis and vary, just as the range of severity of symptoms. Switching from three large meals per day to six smaller meals and avoiding high-fat and high-fiber foods is the first step in treating symptoms. Some people may require a pureed or liquid diet to help control their symptoms, and may use diet supplements or special formulas that are more broken down and easily digestible. In more severe cases, tube feeding or the use of parenteral (IV) nutrition may be required. A feeding tube called a jejunostomy will provide the patient with the ability to bypass the stomach, delivering special formulas directly into the small intestine. A gastro-jejunostomy tube provides access to both the stomach, for venting and drainage, as well as to the intestine, for feeding. Parenteral nutrition is a special formulation of liquid nutrients delivered directly into the bloodstream via special IV catheters, bypassing the digestive system entirely. This approach is an alternative to the jejunostomy tube and can be either a temporary method to help a patient through a difficult period with gastroparesis, or a long-term option, although it does carry significant risks along with the benefits. Parenteral nutrition is used only when gastroparesis is severe and is not helped by other methods. 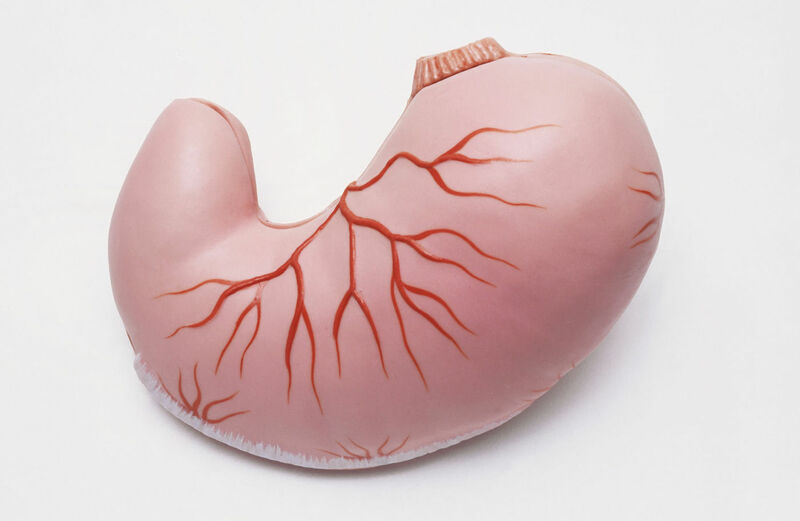 Emerging treatments for gastroparesis include the use of botulinum toxin, or Botox, injected into the pylorus, which can relax the muscle and allow the stomach to empty more food. Research is still being done, and this treatment is generally quite temporary or may not work at all for some patients. Doctors are also exploring the use of electrical gastric stimulation, stimulating stomach contractions with electric current, similar to cardiac pacemakers. As of now, there is no cure for gastroparesis and patients live with the arduous task of managing symptoms that can range in severity, depending even upon the day. To learn more or to inquire about research studies, please contact either the American College of Gastroenterology at www.acg.gi.org or the International Foundation for Functional Gastrointestinal Disorders at www.iffgd.org. Lindsay Knops is the mother of feisty five-year-old Ava, who suffers from gastroparesis secondary to a mitochondrial disease. 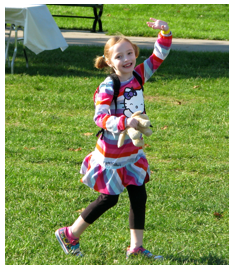 Ava has been tube-fed since October 2006 and has had a gastrojejunostomy tube since August 2007. Ava is very busy! She recently started kindergarten, is helping the school nurse learn how to keep her feeding pump from "deet-dooting," and enjoys fielding questions about her backpack on the playground. Visit her at www.caringbridge.org/visit/avaknops.